Handmade and all natural cotton rope ball. This dog ball is a suitable fetch ball for almost all dogs. 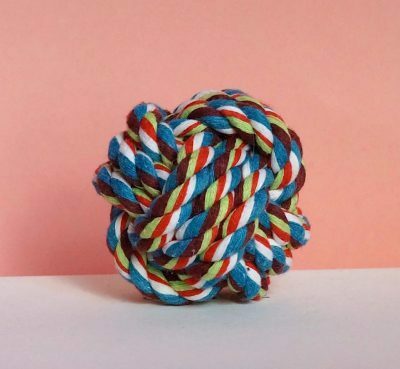 Made of durable cotton rope and with a teeth flossing effect. 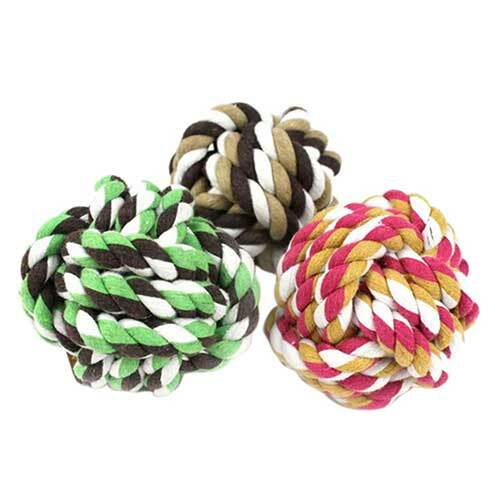 Naturally dyed, chemical free, irresistible to chew on and helps your dog flossing their teethes. Colours will be delivered randomly.